As we get ready to celebrate Thanksgiving, we are proud to bring you our favorite moments from our streaming broadcasts at Starrcast & ALL IN weekend in Chicago. 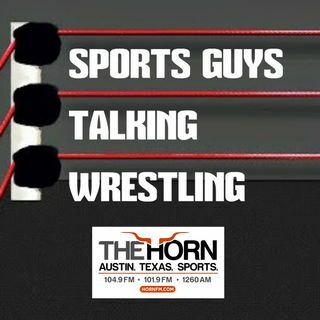 You’ll hear interviews with WWE Hall of Famer Diamond Dallas Page, TNA/Impact Wrestling icons The Beautiful People – Angelina Love & Velvet Sky, legendary wrestling journalist Bill Apter, and more. Plus, in a bonus segment that wasn’t on the radio show, you’ll hear Stew’s conversation with NWA vice president Dave Lagana.